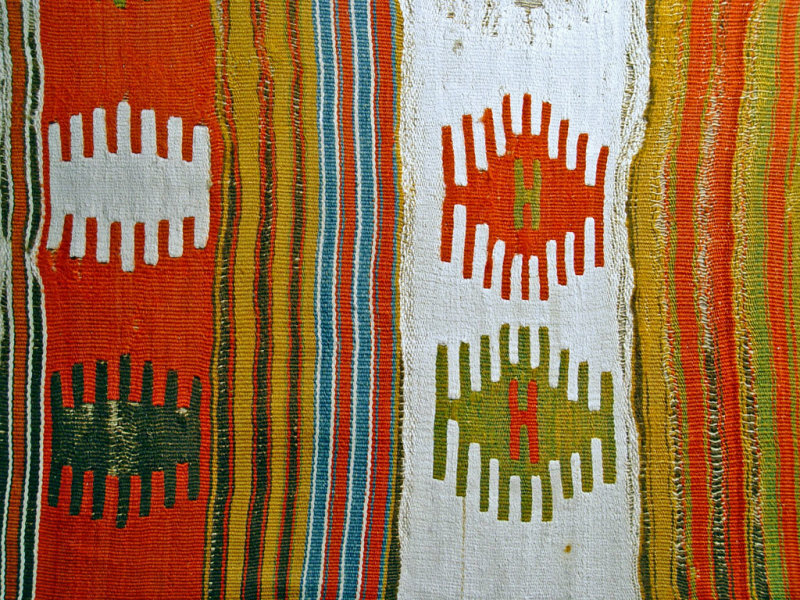 Close-up of a kilim. Yörük, woollen weft on woollen strands. Several collections have 19th century kilims from Afyon with similar design. Here we see two different ‘Tarak’-motifs (comb), one with seven lines, the other with nine. The comb motif is related to the protection of birth and marriage. & ‘Anatolian Kilims’ – DÖSÍM - ‘Kültür Bakanlığı’/Ministry of Culture.